The aim is to learn about history by recreating it. We study period techniques and apply them in a modern world (considering things such as cost and availability of materials, safety, and our climate). Accuracy is important and we source a range of documentary evidence, including manuscripts, archaeological finds, paintings and sculptures, as well as stories told by the people that lived in those times. Most classes are conducted fairly informally, and evolve from one or two members researching a new technique, area of interest, or teaching a class that has been taught to them. We cover everything from making garb (clothing), leatherwork, studying games and music, learning medieval dance, fletching, making armour and weaponcraft, calligraphy, food preparation, heraldic design and display, plus a host of other interesting topics. If you have a any skills or knowledge you would like to share with others, please feel free to contact Arts & Sciences Officer to arrange a class. Thanks to those who have already come forward to offer classes, support and ideas. The list for the upcoming A & S activities is below. Unless otherwise stated they will be held at the River Haven Hall, 35 Wesley St, Lutwyche (Brisbane, Queensland). 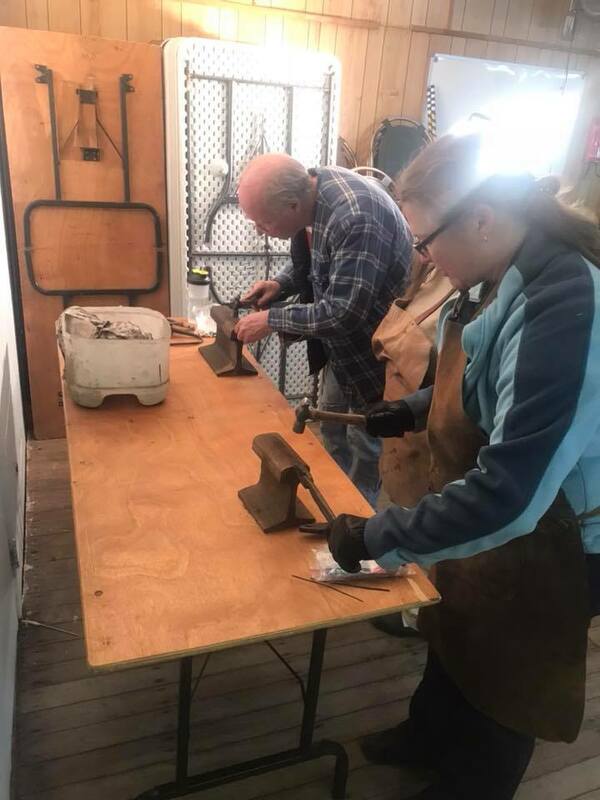 Learning the blacksmith’s art. Hatpins with Martin the Blacksmith. Quills made during class, and a Tudor rose. 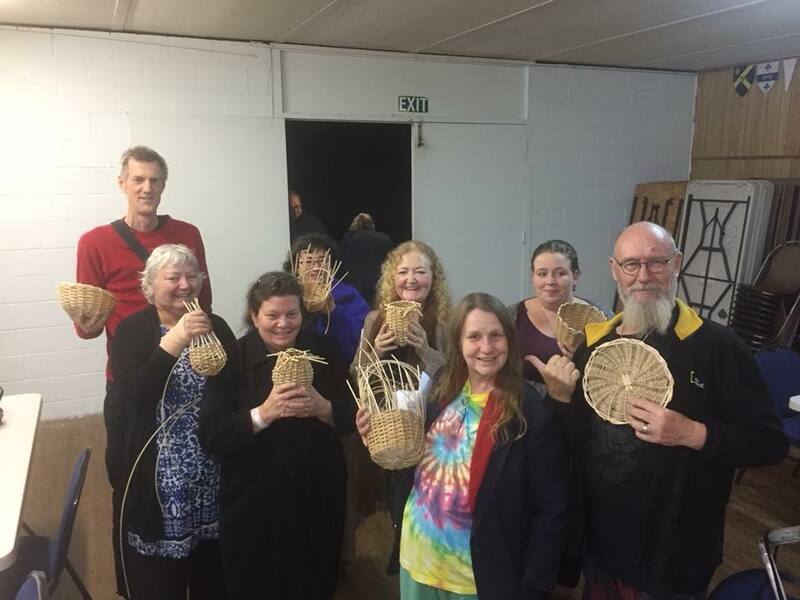 Robin of Twyford’s Basket-weaving class 2018. Much fun had by all. All classes held at the hall require payment of $5 Hall fee, plus a per night insurance levee of $5 for non members. Additional material costs as advised on each post. Bringing along projects for help/advice or just to complete them with good company always welcome. Sets of Calligraphy and Illumination paints are available to order for $15 if needed, or there is a $2 fee to use Baronial equipment. 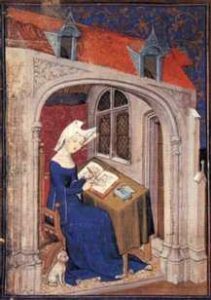 9th: We start the year off with Calligraphy and Illumination with Lady Kamara. Usual hall fees, non member insurance (if needed) and $2 to use River Haven equipment apply. 23rd: Arrow fletching with Bryce. Requirements; the participants will need two 2.4m long, 8mm dowel. Tassie Oak if making combat arrows. About $4ea ($8 per 6 arrows) at Bunnings. They will also need $15. This covers, 4x flights, 6x blunts, Filament tape, electrical tape, glue, and nocks. I will have several sets of tools so we can fit as many people as required. If someone has any or all of the materials we will work out the costings of materials. I will have some shafts at the hall. It will be first come first served and I would suggest buying some from Bunnings to ensure they have some. 30th: UFO’s and Largesse. There has been a request to learn hemming techniques and some basic embroidery stitches to work on Largesse items, so bring your sewing kit. There will also be space for at least one person to catch up/finish combat arrows from last week. 6th: Persian Garb with Lady Kamara. recommended material is light weight cotton in plain colours or can be stripped for pants. Should have enough time to measure, draw and cut both items and possibly start sewing. 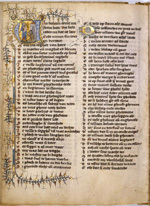 13th: Calligraphy and Illumination with Lady Kamara. 23rd and 24th: Workshop Saturday and Sunday Morning. !!!POSTPONED!!! Due to the current weather conditions and a few other factors, a decision was made to defer this Saturday’s Viking Garb class. Weather permitting the hall will be open on Sunday for projects (morning) and the dance class (afternoon), and we can have an abridged starter class in the morning if desired, otherwise the whole class will be held later in the year. Basic T tunic and Apron Dress with Mistress Gwynhavyr. POSTPONED A good start to garb making for those who want to learn something easy, also useful to take advantage of the cheap Christmas fabric available at present to make something for the end of year Viking Yule event. Basic t tunic on the Saturday 10 am to 5ish pm (requires approx 4 metres white cotton or linen) and basic apron overdress from 10 am Sunday till dance class starts at 3 (requires 2.5 metres approx of coloured fabric. You will also need to bring your basic sewing kit/supplies (needles, threads, tap measures, scissors etc),and your own lunch. Hall costs of $5 per day (but on Sunday one hall fee covers both this class and dance) with of course $5 per day insurance levee for non members. 27th Documentation with Mistress Gwynhavyr. How to write up your Arts and Sciences Competition Entry in the best way possible. 6th: Weaving in the round – small pouch. Wool, tapestry or a good heavy jacquard fabric at least 140cm wide. Twice you length from shoulder to approx. 10 cm below your knee (if you want a longer one measure to the floor and add 10cm). In addition, another metre for sleeves if you want them. Lining fabric – cotton or linen to match/contrast the outside fabric. Calico – 2 m to make a mock up for body and sleeves. to learn and makes garb look very professional. I will bring piping cord. hook and eye (size 3), cotton and sewing needles. Oh and some spare sewing machine needles. All fabric will need to be pre washed and ironed ready for sewing. I will bring an extra iron and ironing board. Please bring your lunch etc on both days. Followed on the Sunday by the Medieval Dance Class. 3rd: Spinning wheel basics. Learning the basic parts of a spinning wheel and how it works. This should be of great assistance if you are looking at picking up a second hand wheel to know what sort of repairs it may need. Will be showing how to make certain dodgy repairs on the cheap if needed. Will be talking about preparing wool for spinning and what forms are available to buy. Hopefully you will get to have a turn at trying to spin with the wheel. I would also recommend parts of this class to our woodworkers, as the basic mechanics of a spinning wheel can be easily adapted to create a foot powered lathe or drill, or a potter’s wheel. 10th: “What can I wear to do Rapier?” with Euphemia. A discussion on what would best suit your style to wear for Rapier fighting. To be followed up with practical workshop. May also be having Calligraphy and Illumination with Lady Kamara, if not held previous week. 27th & 28th: Rapier Garb Workshop with Euphemia. Requirements TBA. Followed on the Sunday by the Medieval Dance Class. Here are some articles published by members (past and present), most hand-outs at classes are copyright to the authors. The Arts & Science Journal for the Kingdom of Lochac of the Society for Creative Anachronism, Inc. (SCA, Inc.). Cockatrice is an email publication only via subscription with the editor.